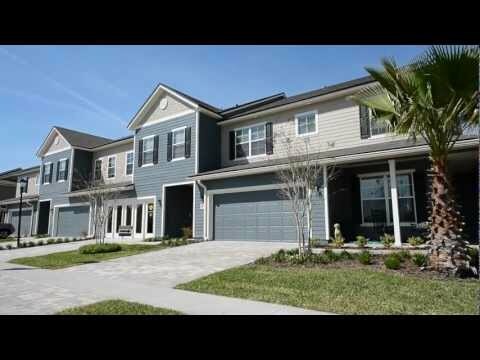 This community, by Richmond American Homes, offers the easy of living that comes with a new home, plus the convenience of all that St. Johns County has to offer. Located in the heart of St. Johns County, Coquina Ridge gives residents easy access to highly rated schools, shopping, dining, the beaches, and much more. The one and two story homes in Coquina Ridge come in seven different floor plans, and home buyers can choose from a variety of customizable features. Homes range from 2,250 to 3,400 square feet, and offer 3 to 6 bedrooms. For home buyers looking for an extra something special, waterfront and wooded homesites are available. Inside specific floorplans you'll find a private master suite with a luxurious bath, a covered backyard patio, walk in pantry, and a gourmet kitchen. Homes in the Coquina Ridge community begin in the mid $200s, and there are quick move in homes available. Contact us today for your private tour of this fantastic St. Johns County community. Contact me about buying a home in Coquina Ridge. Please have someone contact me about buying a home in the Coquina Ridge community. I am interested in buying a home in Jacksonville.